03.08.2015, B2B social media, by Eric Brandt. LinkedIn is the probably best social medium for connecting with specific networks of decision-makers. That’s why it often looms large in the social marketing of B2B. So how do you connect with networks of potential clients? Provide a service. 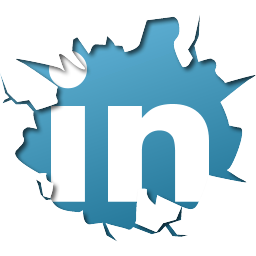 Provide the value of a well hones and moderated LinkedIn Group. Embed yourself at the center of a rich many-to-many discussion,focused on issue you care about, and attracting others who care about them too. The article first appeared on PR 20/20. This is an interview Laurel Miltner conducted with Matt Bertuzzi, marketing manager for The Bridge Group, Inc. Matt skillfully grew his 6,700+ member Inside Sales Experts group on LinkedIn… so he knows this topic from inside side. What exactly is the Inside Sales Experts group? We launched Inside Sales Experts in early 2008 as a way for Inside Sales practitioners (both individual reps and managers/directors/etc.) to share ideas, seek advice and learn best practices. To give you some rough numbers, the group more than doubled in membership in 2010. We are adding about 15-30 new members a day and growing 5-8% monthly. How did you decide on the group’s topic/niche? I’d like to think our group fills a needed niche for LinkedIn users: a place for like professionals to talk shop, brainstorm and network with others in the Inside Sales community. Even three years ago, there were already “Sales” and “Marketing” groups formed, but we struggled to find a forum that was targeted to the Inside Sales audience. Rather than try to make do in an existing space, we decided to build our own. How did you initially gain members? In the beginning, we invited active and past clients, colleagues, our personal networks, etc. to join. The strategy and tactics just flow naturally from there. You’re now at more than 6,700 members. How have you continued to grow the group over time? Tip #1: Leverage members joining and adding the badge to their profile. It is the single best marketing a LinkedIn group needs. Make sure your group badge is about the group, not about your company (e.g. the words “Whizzbang Fans” and not the logo for your company “AcmeCo”). Similarly, make sure that your group description is about the audience, not you (e.g. “for people who really love Whizzbangs” & not “AcmeCo.is leading provider of services to the Whizzbang industry”). Tip #2: I highly recommend using “thank-you pages” and “thank-you emails” from your corporate website to promote groups. If you already know that a prospect is interested in your space, since they’ve downloaded a piece of your content, why wouldn’t they want access to a community of like professionals? Promote your LinkedIn groups once you’ve established some order of trust and build your LinkedIn group as a corporate asset. How does your group use the different tabs and functionality LinkedIn offers (Discussions, Promotions, Manager’s Choice, etc.)? We use the tabs religiously. Open networking, linking to your webinar and asking for feedback on your blog post is not a discussion — it is promotion. “Discussions” is the heart of our group, and I take its integrity quite seriously. I believe that this approach delivers the most value to group members. They can be confident that if they have a question, they can post it in discussions and will not be buried under an avalanche of blog posts, open networking, webinar invites and other non-discussion content. More than 60% of our discussions receive multiple responses. We are adding roughly 30 new discussions a month. We have two threads that perpetually receive attention (with 73 and 155 comments to date). What kind of time commitment does it take to effectively manage the group? We have two people managing the group. Our commitment is to administer 2-3 times daily, between the two of us. I know that might seem like overkill, but I don’t ever want someone to join and/or log in and find the discussions areas covered in spam and other low-value content. As I said earlier, I take this stuff very seriously. Besides, a few five-minute (max) sessions a day are hardly onerous. How has your management changed over time? In the early days, we certainly participated in discussions more actively. We never planted “canned discussions” to fill space, but we would be the first (and sometimes only) responder to member questions. I am happy to say this is 100% no longer the case. The community serves the community, and we are proud to sit back and jump in only when we can add significant value. How do you handle off-topic or negative posts within the group? This too has changed over time. LinkedIn, itself, is constantly changing group functionality. So this requires rethinking and communicating about where people can post the self-promotional material. In the past, we would email offending members and let them know that the discussion area wasn’t for webinar promotions, job postings, etc. As the group has grown, that has become impossible. Over time we’ve found that 95% of off-topic material is posted by 5% of users.LinkedIn has a magical solution called “Block & Delete,” and it is a group manager’s dream. Anything else you want to share about LinkedIn group management? My final comment is a lesson we learned along the way: no one is above the rules. If you know a group member personally and they post something self-promotional, sorry, it has to be moved too. Add value at every possible turn and hold yourself to the highest standard and, in my opinion, your group will really stand out on LinkedIn. Thanks to Matt Bertuzzi for sharing his experience and insight.